Seasonal cottages take a little more effort but some of the below apply to year-round homes. Prepare a checklist! Here are a few basic items you want to look at. Unplug all the appliances and open the refrigerator door. Turn off all un-necessary breakers. Close all gaps in the foundation, doors, windows, and siding. Mice are crafty. Winterize lawn mowers and outboards and put gas saver in any gas tanks. 11. Double check to make sure all windows and doors are locked when exiting. 12. Put your cable/internet on vacation mode if possible. 13.Don’t post your plans on social media or post while you are away! 14. Don't forget to cover outdoor furniture and boats. 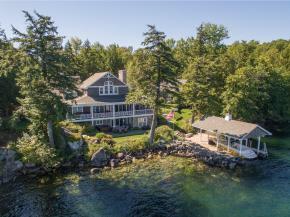 If you have any interest in purchasing a New Hampshire lakefront home Lady of the Lake Realty has been in business since 1999 and we have exhaustive knowledge of the lakes. Sorry to say none of the NH lakes are immune to milfoil. This invasive plant needs sunlight to flourish so deep sections of our lakes are not affected. Once milfoil takes hold the lake associations needs to set up a program and plan to manage the plants. Squam Lakes Association has worked to keep this plant in control working tirelessly each summer to keep the plant from spreading. Big Squam and Little Squam fortunately have not seen a major spread of milfoil. Last year in the Squam River they successfully removed 3700 gallons of milfoil harvested by divers. The weed watcher crew looks for growth in shallow areas of the lake so the milfoil team can quickly react and mitigate the plant. Paugus Bay on Lake Winnipesaukee is in milfoil attack mode. 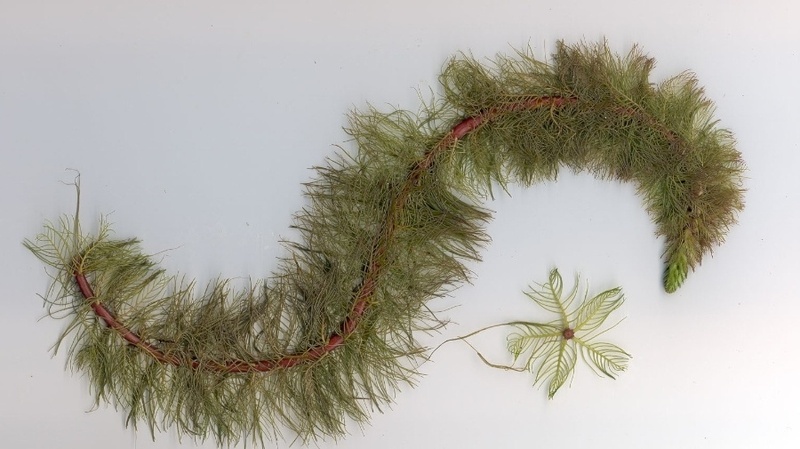 In addition to harvesting plants after Labor Day a Milfoil Herbicide will be applied in the area of the Weirs Beach Bridge and Lakeport Landing Marina. Divers this summer using suction hoses will be busy vacuuming up the plant's roots and all to prevent further spread The Laconia city manager said a water flow study will be done to better help the application of the herbicide for best practices. The Department of Environmental Services has identified the “Frightful Fourteen” aquatic invasives that could take hold in New Hampshire. A number of plants may resemble exotic species. Bladderwort, water weed (elodea), coontail, water marigold, and others can easily be confused with exotic species like milfoil and fanwort. The look-alikes have distinctive variations, however. Volunteers use weed identification sheets to help distinguish between similar types of plants. 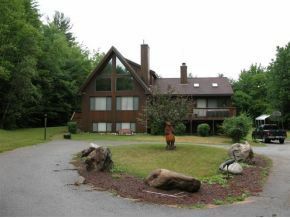 If you are looking for a lake home in New Hampshire Lady of the Lake Realty has been in business since 1999 and we have exhaustive knowledge of the lakes. 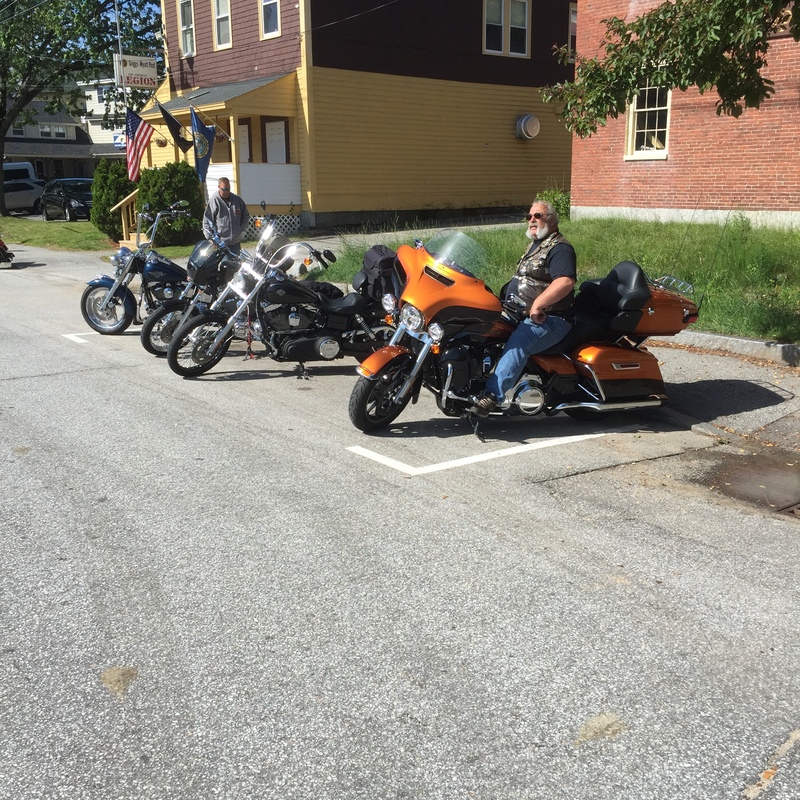 Our marketing area includes all the lakes from Sunapee Area to Ossipee. The first step in winterizing your boat should be to make a list of all your winterization tasks. Check your boat and motor owner's manuals for manufacturer recommendations on winterization and review the topics below. If you are a new watercraft owner, consider employing the help of a friend with experience in winterization, or hire a professional to do the job. Run the engine to warm it up and change the oil while it is warm. This allows impurities to be drained away with the oil. Change the oil filter(s). Flush the engine with fresh water. Circulate antifreeze through the manifold by using a pickup hose from the waterpump to a bucket of antifreeze. Start the engine and allow the antifreeze to circulate until water starts to exit the exhaust. This process will vary slightly depending on whether you have a "Raw Water" cooling system or an "Enclosed Fresh Water" cooling system. While you're in the engine room, change the fluid in your transmission. Remove spark plugs and use "fogging oil" to spray into each cylinder. Wipe down the engine with a shop towel sprayed with a little fogging oil or WD-40. Thoroughly inspect the stern drive and remove any plant life or barnacles from the lower unit. Drain the gear case and check for excessive moisture in the oil, which could indicate leaking seals and the need for repairs. Clean the lower unit with soap and water. If your stern drive has a rubber boot, check it for cracks or pinholes. Grease all fittings and check fluid levels in the hydraulic steering or lift pumps. Check your owner's manual for additional recommendations by the manufacturer. Pump out the holding tank at an approved facility. While pumping, add fresh water to the bowl and flush several times. Use Vanish crystals or whatever your owner's manual recommends that will not harm your system and let it sit for a few minutes. Add fresh water and pump out again. Add antifreeze and pump through hoses, holding tank, y-valve, macerator and discharge hose. Check your owner's manual to make sure that an alcohol-based antifreeze won't damage your system. Pressure wash the hull, clean barnacles off props and shafts, rudders, struts and trim tabs. Clean all thru-hulls and strainers. Open the seacocks to allow any water to drain. Check the hull for blisters; if you find any that require attention, consider opening them to drain over the winter. I also add moth balls in sandwich bags so they are easily removed in the spring and your boat wiring is still in tack. 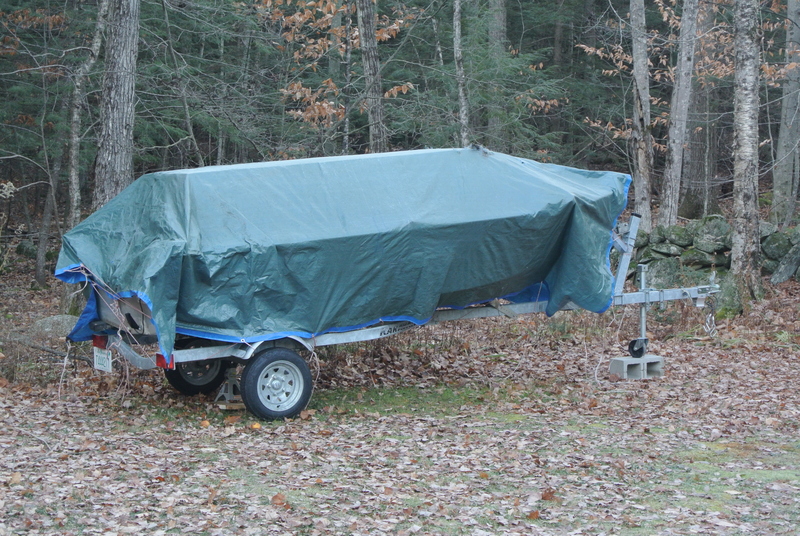 Like boats, trailers need some attention in the fall so they'll still be rolling in the spring. Hubs that have been immersed in water during the season must be cleaned thoroughly. Rusted areas on the frame should be sanded, primed, and repainted. Tires should be inspected, especially the sidewalls, which tend to crack and wear out before the treads. Finally, removing the wheels and adding support at the blocks under the frame rails will prolong the life of the tires, minimize sagging on the springs, and discourage theft. You may want to leave a battery aboard your boat to operate a burglar alarm or an automatic bilge pump. These are both useful in the winter, but don't expect an automatic pump to overcome bad deck, cabin, or hull leaks"not in the summer or winter. The pump, battery, or float switch can fail, leaving the boat unprotected. A boat with chronic leaking problems should be dry-stored and repaired as soon as possible. If you do leave a battery aboard, make sure the cells are filled with distilled water and fully charged so they don't freeze. Frozen cells will ruin a battery. Clean the terminals with baking soda, and rinse with cold water. Coat the terminals and cables with petroleum jelly to help prevent rust. If you don't need a battery aboard, take it home and do all of the above anyway. Store batteries in a cool dry room and put them on a trickle charger or charge them every 30 to 60 days. I also store my batteries on a work bench or on a wooden shelf, never store your batteries on a concrete floor. 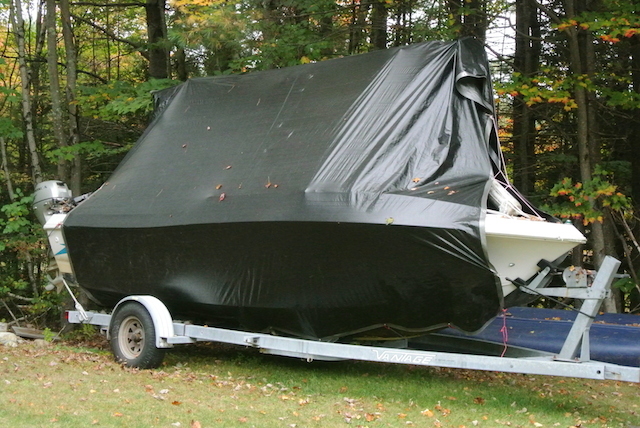 Invest in a cover to keep your boat clean and free from dirt, water, falling leaves and bird droppings, all of which can cause damage if left unchecked. A cover can also prevent UV rays from breaking down hoses and fading carpets and upholstery. During the winter a frame should be used under the cover to distribute the weight of water or snow that may collect on the boat. I personally use a black tarp with a frame that shed's snow quickly after a storm and does not build up. If you store your boat at a marina or yard, be sure to review your contract so you know what services you'll receive and what you are responsible for providing through the winter. Most marinas and yards only store your boat, and any maintenance or winter preparation services typically cost extra. Be aware that many marinas and yards have clauses that waive liability in the event of damage or destruction to a watercraft in storage, and most require that owners have full insurance coverage. Much of the this article was taken from a Safeco Insurance Post. For information on lake property call Four Seasons | Sotheby's International Realty at 1-888-737-5550 or e-mail at info@nhlakesrealty.com or visit our website to view lake homes in New Hampshire at www.nhlakesrealty.com or www.lakeorskirealestate.com. In New Hampshire the Lakes meet the Mountains and our state is a number one destination four season vacation and retirement target. Why? Our lakes are deep with crystal clear water and the major ski resorts are just a short ride from any of our 250 plus lakes. On Winnipesaukee for example, you can boat to major ports around the lake for a shopping or dining experience. You can actually leave your car in the driveway and go grocery shopping or to a concert by boat. 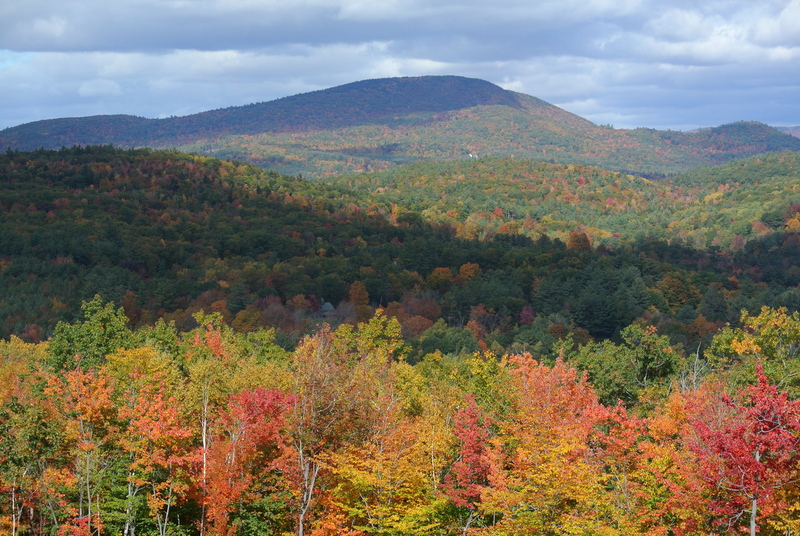 Mount Sunapee and Gunstock Ski Resorts almost touch the lakes. Where else can you be boating on Saturday and at a Nascar Race on Sunday. The summer is winding down and we are moving into the State Fair and foliage season. No place can you find a mountain canvas of spectacular colors that NH offers during foliage season. Fall leads to skiing at Attitash, Loon, Cannon, Sunapee, Waterville, Wildcat or snowmobiling our 1000's of miles of trails that cross the state. Winter leads to spring and we start all over with some great salmon fishing, hiking, biking, flowers blooming and the lake ice receding. 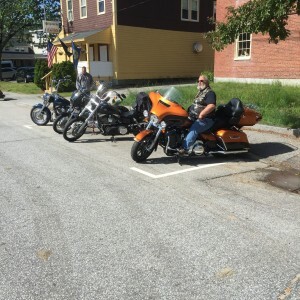 In addition to a wonderful destination to build memories with your family New Hampshire has no sales or income tax and our motto is Live Free or Die. Buying a Lake Home? How many should I plan on touring in a day? Viewing lake homes is more involved than viewing homes around town. Typically everyone wants to see as many homes as possible during their visit, but 4-5 homes are actually ideal for a day of touring homes. Remember your not only viewing the home, the lot lines but add a dock, shoreline and lake bottom structure along with travel time from lake to lake. In NH, we have over 250 lakes in the greater lakes region! If your focus is on one of the many smaller lakes my advice is to get in your car and take a Sunday drive to view all the lakes that have homes you are interested in to determine if you like the area. You may find that some lakes are immediately discounted due to amenities in the area. The larger lakes tend to have all the attractions, shopping and hospitals close by. At this early stage, it is about the lifestyle, not the home. Example if you want to use your home as a ski home what is an acceptable drive to a major ski area? Ossipee and Great East lake are wonderful lakes but major ski areas are about 1 hour away. Winnisquam, Newfound, Squam and Sunapee you can be slope side in 15 minutes. Washington NH is a remote paradise, woods, hiking, snowmobiling but the closest major grocery store is 35 minutes. Set your criteria to discuss with your agent what you are looking for because the web pictures shows you a wonderful home but you may be in shock when you view the home in person. So in a normal setting, seeing 4 or 5 homes in a day is ideal. I personally feel that viewing more homes in a single day becomes overwhelming and homes start to blend together. You may take pictures and notes, but after 5 homes and 5 hours on the road, everything looks the same. Staying fresh and alert is important so we catch all the details of a home. If you flew into view homes to purchase we can set a day that works for your schedule. 1. Pre-qualification and price range to search in. 2. Home attributes and lake size? 3. Drive-by areas to get a feel for the lake and area. 4. Use the internet as a resource and discuss the homes with your agent to ensure they meet your expectations. Once you are sure a lake home is right for you contact your bank and get a pre-qualification letter so you can move quickly on a home of your choice. Determine your price range and what amenities are you looking for then begin your search online. For additional information on New Hampshire lake homes call 1-888-737-5550 or e-mail at info@nhlakesrealty.com or visit our websites to view lake homes in New Hampshire at www.nhlakesrealty.com or www.lakeorskirealestate.com. Tips for shopping for a Lakefront Home in the Winter. What to expect when you are looking for that dream home in the dead of winter. Dress for the weather, leave trendy clothes and shoes at home and wear boots. It's winter and snow is on the ground so plan on temperatures in the teens you can always take a layer off. Most of the homes you are going to look at are not primary residences so if the homes are heated the interior temperatures may be set around 45 degree's. Dress warm! Viewing the interior of the home should go smoothly. The exterior of the home depending on the snow depth could be a bit dicey. The shoreline is another story unless you brought your ice skates along. If you would like to examine the shoreline closely your agent should have some pictures of the beach area and in the past we have brought an ice auger to the second showings to view the lake bottom to verify if it is sandy or depths. In New Hampshire January, February and March lakes are iced over. In the later part of March, the shorelines begin to melt first giving you the opportunity to view in full what's on the bottom. Prior to setting out to view homes set up a wish list. Outline the top features you require? View - Open water, mountains, quiet cove? Sun Exposure, morning sun or sunsets? The size of the lake? Quiet lake kayaks, canoes or no boating restrictions? Distance to shopping, attractions and hospitals? The lot is more important than the home. You can change the home but not the lot. 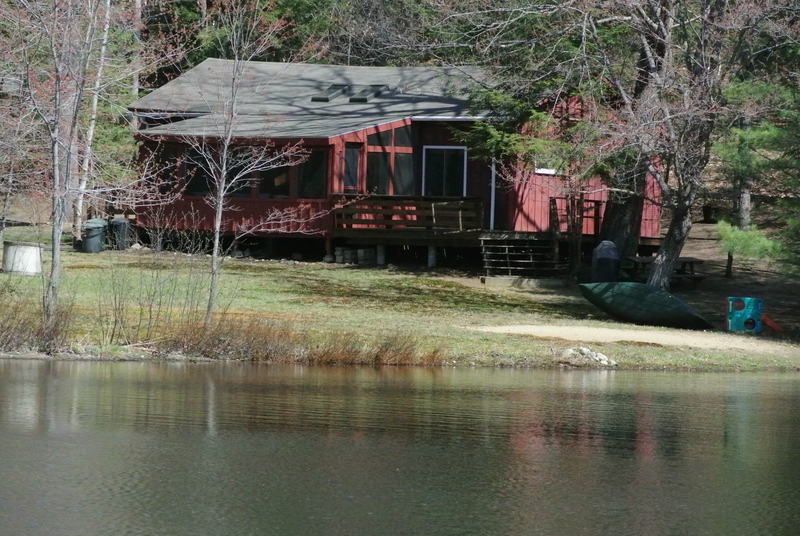 We spoke with one buyer looking to purchase a new lake property. Over and over again they fell in love with a home but remembered their past experience of watching those across the bay basking in the afternoon sun while they sat in the shade. Contact your banker to establish a price range you are comfortable with. If your dream home features need 3000 square feet and granite counters but your budget does not match that dream a lake access home might be the perfect alternative. When ready call us so we can help you locate the perfect lake and home for your family. We are knowledgeable in all the quality lakes in the region along with lakefront regulations. Important note! New lakefront listings begin to get into the inventory the end of March as many homes are completely shut down for the winter. 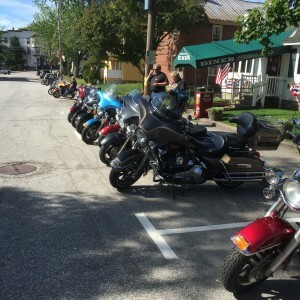 Visiting New Hampshire or You Live Here! 70 Great Things to do!! I have lived in NH my whole life and I came across this list of Fun things to do with the family. Of the 70 on the list I have 45 that I will have to add to my bucket list. Robie's Store is on the list, I believe it is closed now looking for a new owner. I grew up just up the hill from this landmark and can share many stories from presidential visits to French's that was across the street and some great fishing in the Merrimack. Currently I am sitting in Meredith with the roar of motorcycles everywhere. The event ends Fathers Day June 21st. Motorcycles are visiting from Canada to Florida. Thousands of Bikes! These are some fun activities and all kinds of interesting things to do -- indoors and outdoors -- in all seasons to entertain you and your family on your New Hampshire vacation or getaway. It is smart to phone ahead or check the website of an attraction to confirm hours, especially for activities affected by weather. 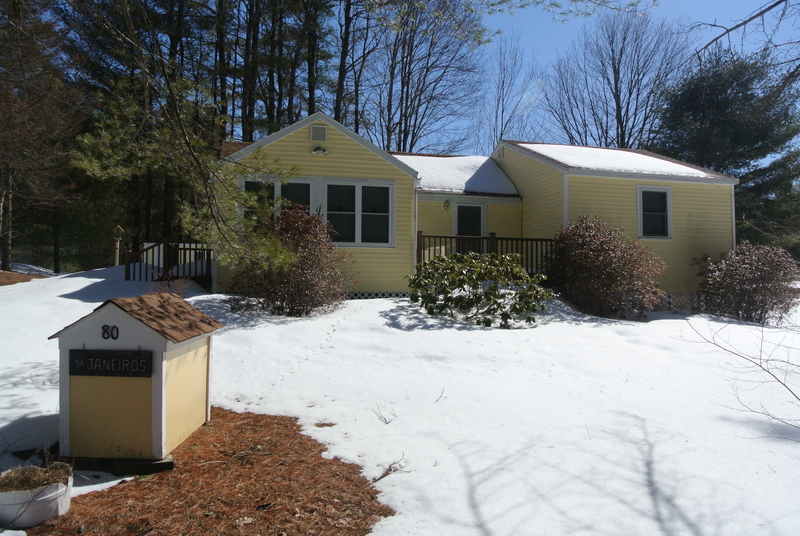 If after your visit to NH and you decide to stay visit call us and we can help you find a lake home. For information on lake homes call 1-888-737-5550 or e-mail at info@nhlakesrealty.com or visit our websites to view lake homes in New Hampshire at www.nhlakesrealty.com or www.lakeorskirealestate.com. 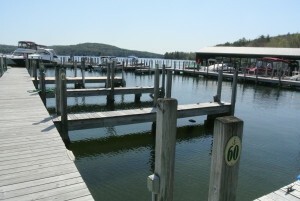 Purchase a Dock on the Lake of your Choice is Step 1. The perfect lake home scenario is 3+ bedrooms, 2 baths, level 1 acre lot, deep water dock with a sandy beach facing westerly for all day sun and sunsets. 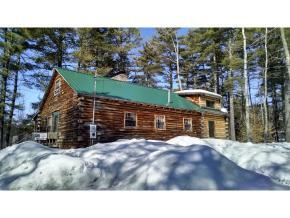 If your looking for that home on any of the larger lakes, Winnipesaukee, Squam, Sunapee, Winnisquam, Ossipee, Newfound, Merrymeeting, Wentworth, or Waukewan prices for a 3 bedroom year round camp starts at $550,000 and go steeply up from there. What about a newer home with shared access to a private beach on a lake of your choice. 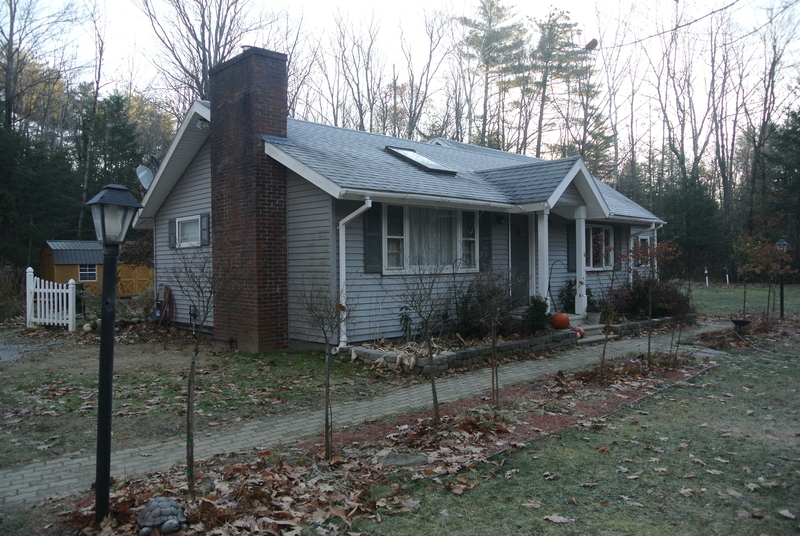 You can readily find a 3 bedroom, 2 bath home with a garage for $350,000 range. The tough part is finding that home with a dock for your boat. Step 2 a home close to the lake with private beach access. The problem is we all want everything now. For those willing to wait there is a wonderful option to enjoy the lake now on a beer budget. An owned boat slip. Take the hassle out of trailering your boat and purchase a slip. 1. Purchase your boat. Possibly a Boat large enough to overnight on. 2. Find a lake you enjoy and buy a slip you can enjoy with your family. 3. Buy a home within a short drive of the dock you own. 4. Sell the dock and the home and purchase a waterfront home of your dreams. 6. Another option here is to buy the home with private beach access, the dock and the boat and start the fun right away. Your lake access home will be the perfect to enjoy skiing, snowmobiling and all summer sports on the water to hiking and golfing. This process may not happen overnight but you can enjoy the lake and build family memories or you can sit at home and dream. The time to act is now! Your Final Goal is to Find a home on the Water with a sandy beach. 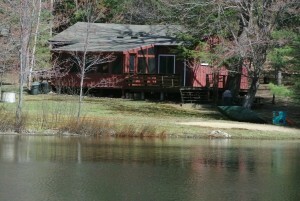 For information on lake homes call 1-888-737-5550 or e-mail at info@nhlakesrealty.com or visit our websites to view lake homes or docks in New Hampshire at www.nhlakesrealty.com or www.lakeorskirealestate.com. Guidelines for Boat Washing, Splish-Splash Your Boat Needs a Bath! Splish-Splash Your Boat Needs a Bath! 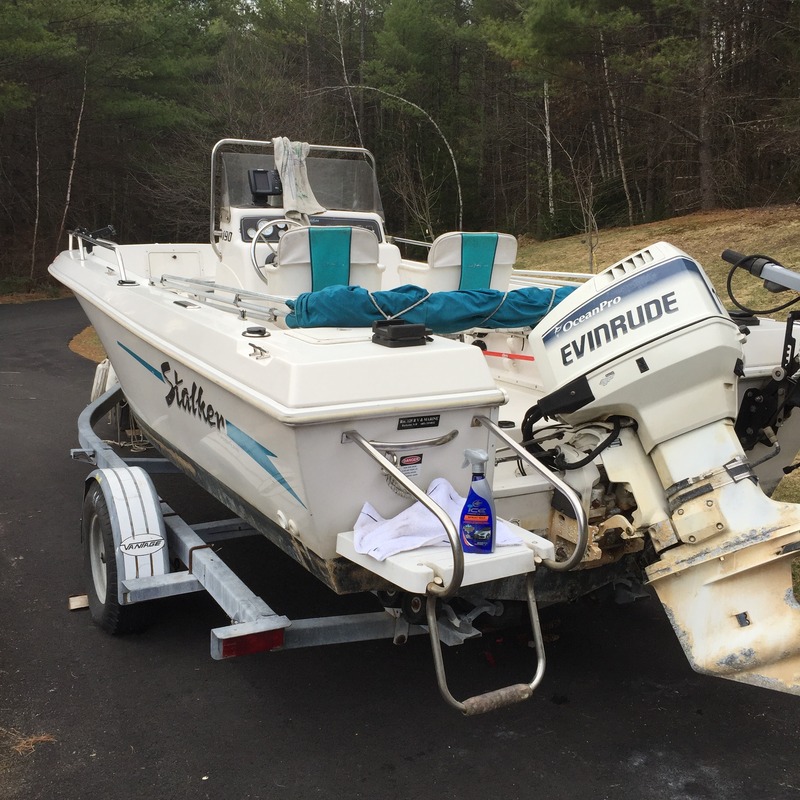 The arrival of spring and ice out has many boat owners eager to dust off that gem and get out on New Hampshire's lakes and ponds. For some, that means spring cleaning before the maiden voyage. Is so, just follow these trusty tips to ensure a squeaky clean result! But first, let's review some important information so you understand what responsibilities come with boat washing. (a) "It shall be unlawful for any person or persons to discharge or dispose of any sewage or waste [wash water, antifreeze and detergents] to the surface water or groundwater of the state without first obtaining a written permit from the department of environmental services "¦"
This means that boat owners and marina facilities need to take precautions to make sure soaps, cleansers and wastewater aren't dumped into lakes and rivers, or into the ground (unless a discharge permit has been obtained). Let's face it, you don't want to drink or swim in it and neither do the wildlife that call these places home! This is NOT the recommended method. Please remove your boat from the water prior to washing. Remember, no wastewater can enter surface waters. The recommended method, and likely the most popular among boaters. Call around to local marinas to see if they have a designated wash station (with proper permits) that allows boat owners to wash their own boats. If possible, bring your boat to one of these facilities. Do not wash your boat close to surface waters or on the boat ramp. Remember no wastewater can be discharged to surface waters! If washing your boat on your lake front property, move the boat away from the water and to a permeable surface such as grass or gravel. If washing your boat on a hard surface, direct wastewater to a vegetated area and away from storm drains or surface waters. Use a spray wash that does not require a water rinse and wipe up with old rags, towels, cloths, or sponge. if you use soap and water, use only phosphate free soaps and apply with a sponge. Wipe off with an absorbent product instead of rinsing with water onto the ground. Extract any waste water into a wash bucket. Properly dispose of wash water. Wash boat interiors like you wash your kitchen floor - with a bucket and sponge. Properly dispose of wash water. The most natural cleanser to use would be water and some elbow grease. Other natural cleansers include baking soda, borax, and lemon juice. Use natural cleansers in place of solvent-based cleansers, but use in moderation. Otherwise, try to use biodegradable, non-toxic, and phosphate free cleansers if available. If you're unsure if a certain product might have negative environmental impacts, contact DES at (603) 271-2858. Visit the DES Pollution Prevention Program for additional boat washing resources available to educate boat owners and marina facilities. Congratulations, your boat, and surface waters are clean!